TJG Transport Services has been providing quality removal services since our inception in 1998. Anything moved - anywhere- anytime, Single items to full loads, Man and Van, No job too small, Weekly runs to London. Students moves. We will beat any genuine quote!! We are based in Bracknell,Berkshire, but operate all over the SE and London, covering Bracknell,Wokingham, Reading, Slough, Ascot, Basingstoke, Windsor, Camberley, Guildford and Newbury. If you are moving to the South East from anywhere in the country contact me Trevor Goulding- man with a van. 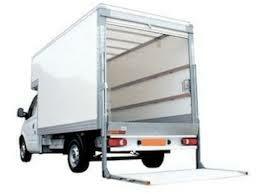 We also provide a house and office clearing service, parcel delivery and most all other man with a van services. Long term experience with Pickfords, Bishops and other large hauliers and removal specialists.